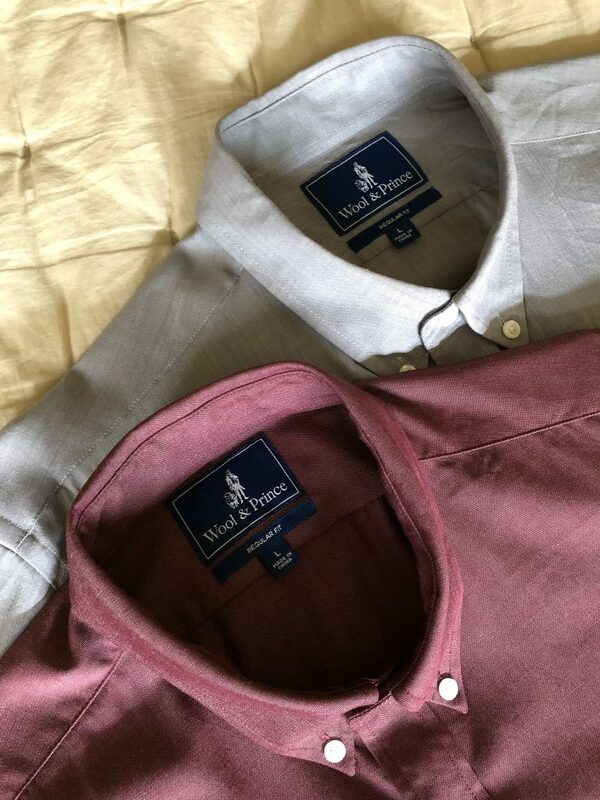 Wool & Prince started in 2013 with a 100 day field test of their 100% merino wool button down shirt. Yes, you read that right, the founder of the company wore one of their original shirts for 100 days in a row without washing or ironing. That’s a pretty incredible demonstration of merino wool. Fast forward to today, and Wool & Prince now makes long and short sleeve button-downs, spread collar dress shirts, work shirts, polo shirts, long and short sleeve tees, boxer briefs, and socks. I have yet to try any of their other products, but they are definitely on my list. The button-downs come in three different fabric weights (130, 170, and 210 gsm). The two lighter weights come in a few different types/prints of fabric (oxford, twill, solid, and tattersall) while the heavier weight fabric comes only in an oxford. The weight of the fabric changes the feel, wearability (comfort, breathability, etc. ), and drape of the shirt. 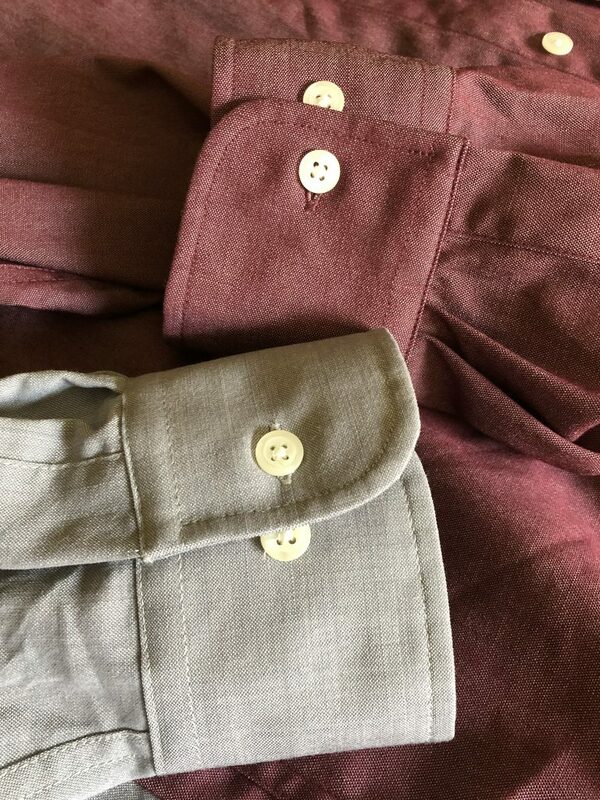 I currently own the Light Gray Oxford (130 gsm) and Burgundy Oxford (210 gsm) Button-downs. While neither looks or drapes like a traditional oxford shirt, the heavier Burgundy Oxford comes the closest. The collars on the shirts are nice and stiff and hold their shape (something a lot of merino wool collared shirts struggle with). I can also fold the shirts to pack and take them out when I arrive at my destination with no wrinkling. At the end of the day, there are no wrinkles at the elbows, where the shirt was tucked in, or if the sleeves were rolled up (although it is tougher to keep them rolled than a cotton shirt). The length and the shape of the bottom hem of the shirts also makes them suitable to wear untucked. This shirt is very light and breathable and can be almost translucent in the right conditions (so an undershirt is a must). The drape looks most like a standard cotton button-down, due to the very light texture of the fabric. Comfortable in any temperature, this is definitely a staple shirt. This shirt is noticeably heavier and warmer. While the comfortable temperature range definitely overlaps with that of the lighter fabric, this is not a shirt for very hot climates (although it will take the chill off in an overly air-conditioned conference room). The drape is closer to that of a standard oxford, however, it feels heavy as it moves (not a bad thing, just different). This shirt is a great staple if you don’t need comfort in very hot weather (as a Northeasterner, this is my favorite shirt in the colder months, although I just wore it in 70 degree F weather and was perfectly comfortable). Wool & Prince is the leader in merino wool button-downs and seems to be the only one to have gotten the collars and cuffs right. Being 100% merino, I can get many wears out of one shirt, especially when paired with a undershirt. It is possible to get at least a week’s worth of wears out of one shirt (and probably many more). This adds to the value of the shirt; there is no way you can get five equal quality cotton shirts for the price of one Wool & Prince. I’ve replaced all my cotton shirts (with the exception of a suit shirt) with the Wool & Prince button-downs because they are the perfect mix of comfort, style (not too casual or formal), and value. 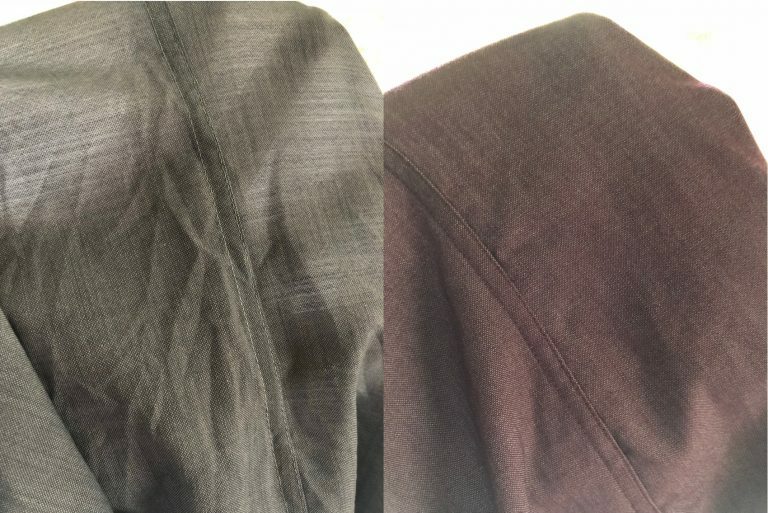 The shirts now come in “slim” and “regular” fits (check out the extremely detailed size guide). I found the slim fit to be very slim cut and ended up with the regular fit (which is also described as a “traditional” fit). In addition to the cut, the fabric weight makes a difference in the shirt comfort and drape, and that should guide what you pick. I love both shirts and find plenty of occasions to wear both all year round. I’ve had Wool & Prince shirts for over a year now and I absolutely love them. For the price, you can’t beat them. My only complaint would be that the patterns I like tend to be the 130 gsm weight and thus a little thin for winter wear on their own. However if you tend to layer, the lighter weight is excellent. These are the best merino button downs I’ve tried.